H x W: 60 in. / 50 in. 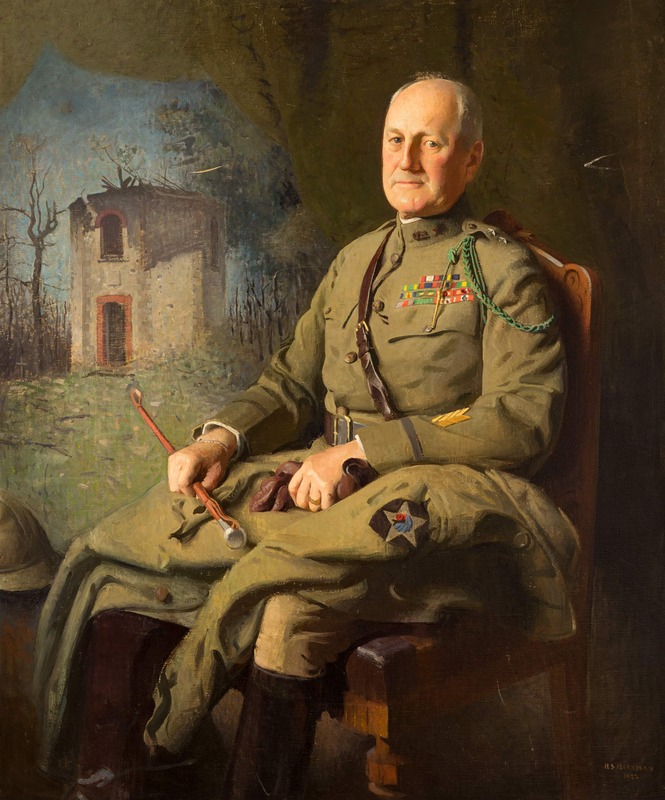 This portrait was commissioned in 1922 by U.S. Marine Corps officers who had served during World War I in the Marine Fourth Brigade under General Harbord's command of the 2nd Infantry Division at Belleau Wood. The Marine Corps officers also commissioned Boston framer Carrig Rohane to design and build the frame, which includes hand-carved USMC Globe and Anchor and 2nd Infantry Division Indianhead patch. General Harbord was a longtime Club member who became the President of RCA upon retirement from the U.S. Army. Meryman, the artist commissioned by the U.S. Marine donors, was a student of Abbott Handerson Thayer, who is considered the "Father of Camouflage."